Bundesliga | Holger Badstuber: back to his roots, back to his best? Holger Badstuber rejoined Stuttgart this summer, 13 years after he left them to join Bayern as a 15-year-old. Holger Badstuber: back to his roots, back to his best? 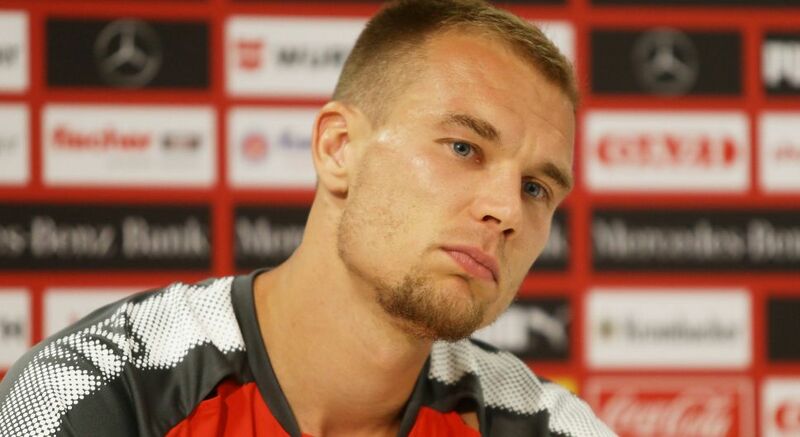 It is clear that new VfB Stuttgart signing Holger Badstuber, a man plagued by injuries in recent years, is not looking for any excuses as he prepares for the new season. Up until December 2012, Badstuber was a star for club and country and one of Germany’s biggest talents. A Bundesliga debutant in 2009, he missed just 13 league matches in his first three senior campaigns and had accumulated 31 caps for Germany by the time he suffered a cruciate ligament rupture in a league game against Borussia Dortmund. The injury ended his season and was the precursor to a series of setbacks that meant he has played just 41 times in total in a little under five years. The move is a new beginning for the Memmingen-born defender. Having spent the second half of the 2016/17 season on loan at Schalke, he found himself unattached this summer when Bayern announced his contract would not be renewed. Leaving the club he had represented since the age of 15, Badstuber had offers from a host of sides, including UEFA Champions League teams, but the former Germany international’s heartstrings were pulled when Stuttgart entered the race to sign him. In a newly-promoted side where his oldest fellow defender – Marcin Kaminski – is just 25, Badstuber’s influence and experience could indeed be invaluable. Even with his fitness issues, which include two ruptured knee ligament injuries and a broken ankle, Badstuber is still a five-time Bundesliga champion. No longer a hot young prospect, his job is now to impart his knowledge to the likes of Kaminski, 21-year-old Timo Baumgartl and others. It is as if life and football begin anew for Badstuber as he gears up for the new campaign with the Bundesliga 2 champions. He is not looking for pity or sympathy but familiar surroundings where he can re-ignite his career. It appears he has found just that in Baden-Württemberg. Click here for the latest Stuttgart news and features!